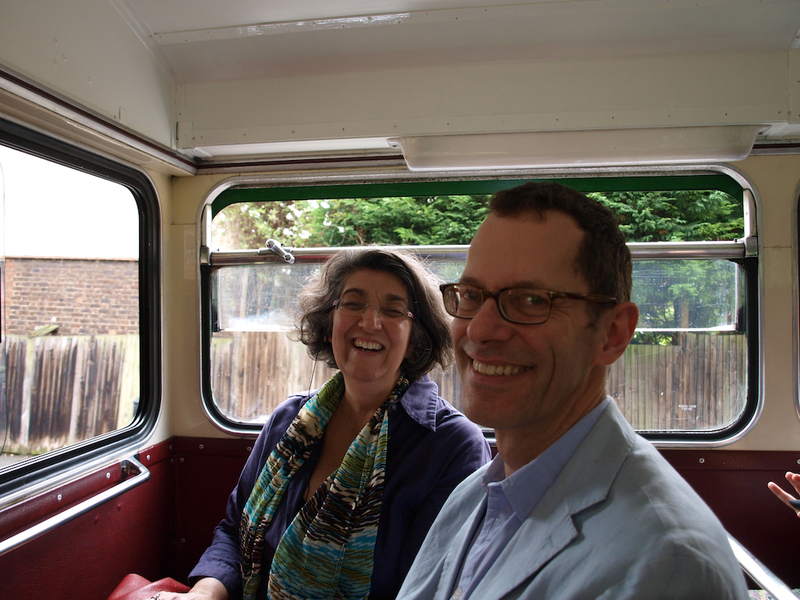 On Saturday we hopped aboard a Routemaster bus to take part in a tour exploring utopia in London’s architecture organised by National Trust London. 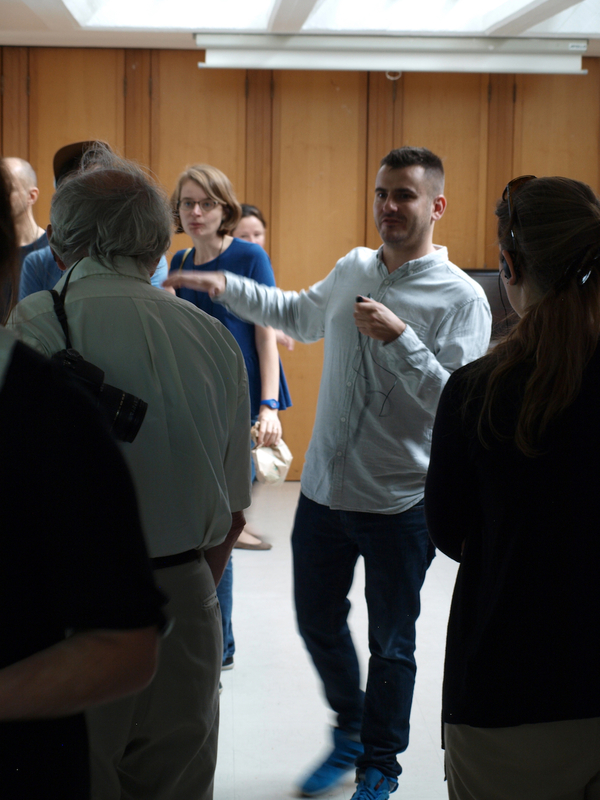 It was led by Tom Cordell, who has made a film Utopia, a personal reflection on architecture in the city charting the birth and death of London’s egalitarian dream. 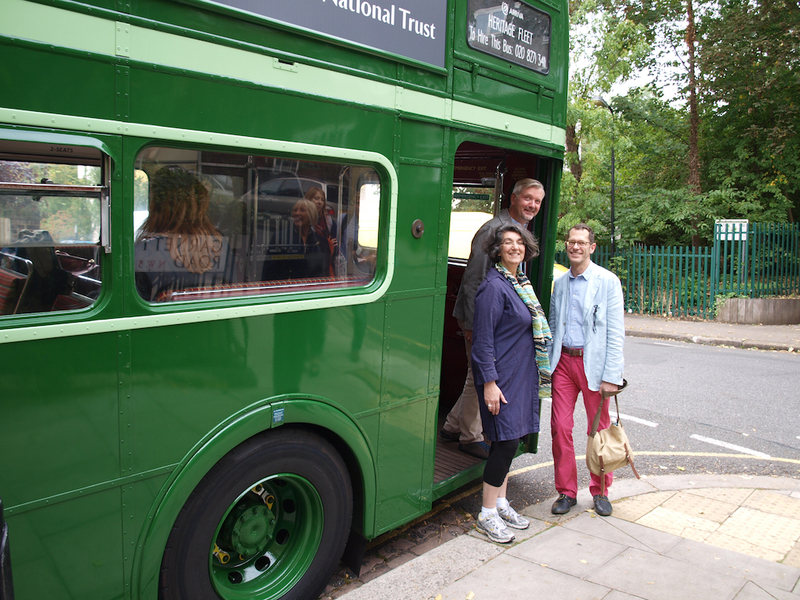 Liz, Egon and Richard climb aboard! 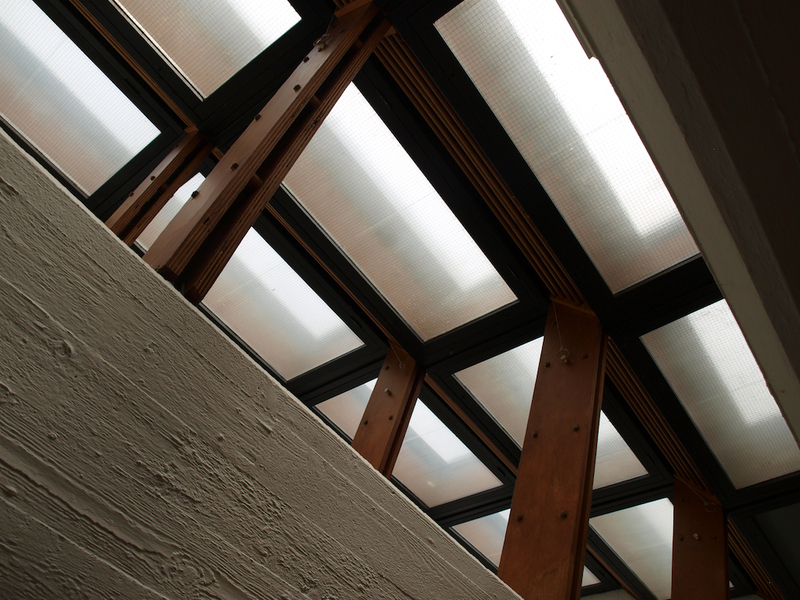 Each of the buildings we visited was designed as a utopian experiment or with utopian ideals. 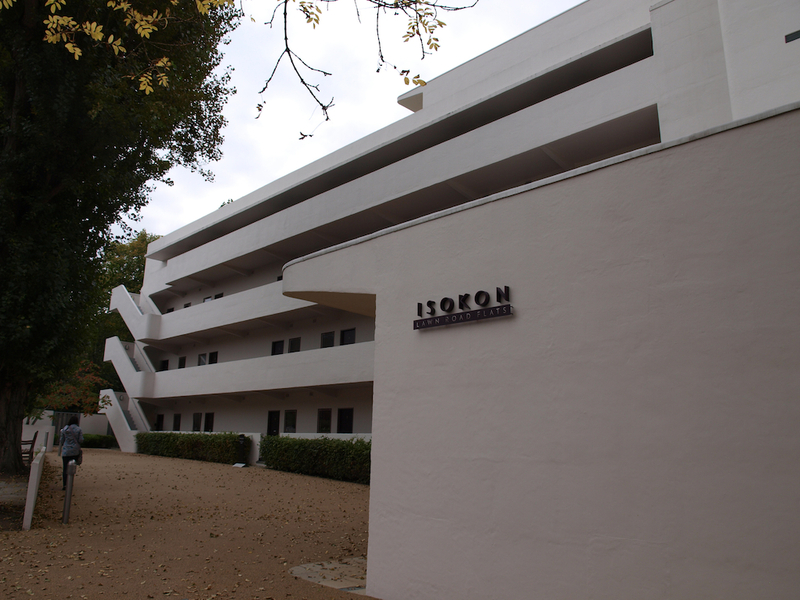 We started at the mid century classic Isokon building on Lawn Road, Hampstead, a concrete block of 34 flats designed by architect Wells Coates for Molly and Jack Pritchard. 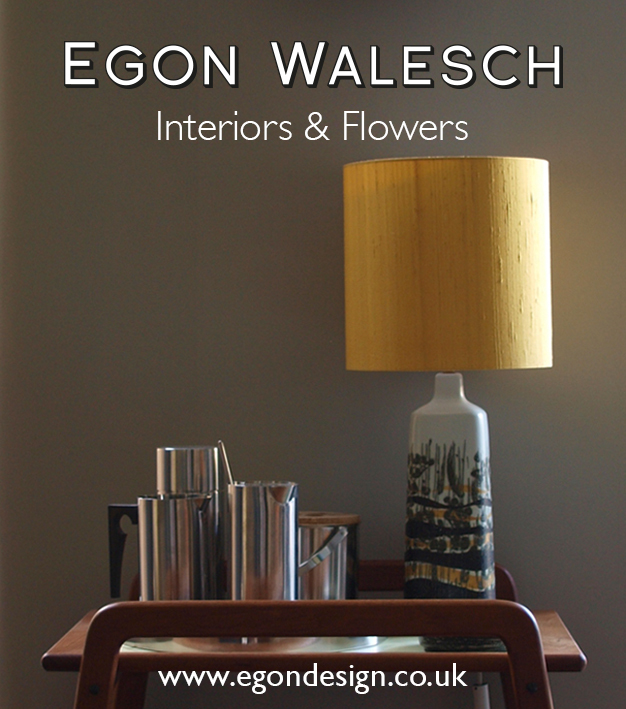 It opened on 9 July 1934 as an experiment in minimalist urban living. 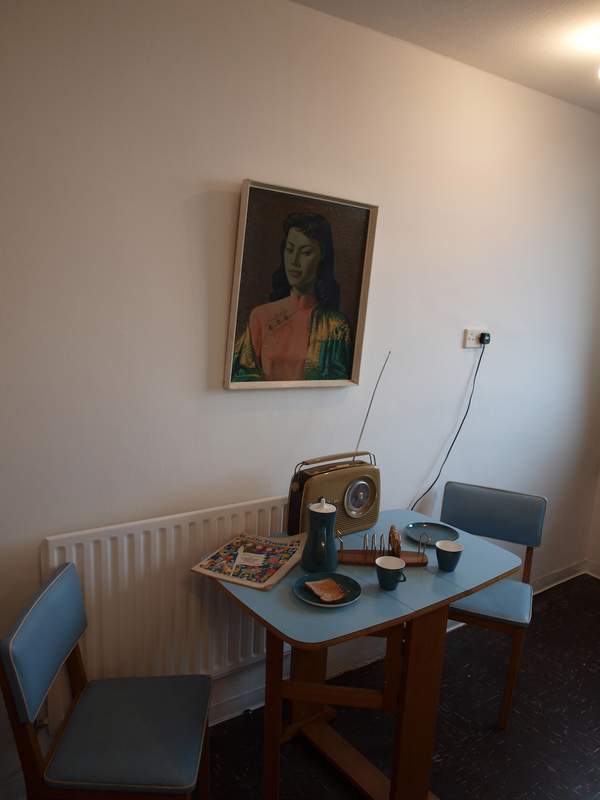 It had a large communal kitchen for preparing food, connected to the flats by dumb waiter. Among its notable residents were Bauhaus émigrés Walter Gropius, Marcel Breuer, and László Moholy-Nagy and crime-writer Agatha Christie. 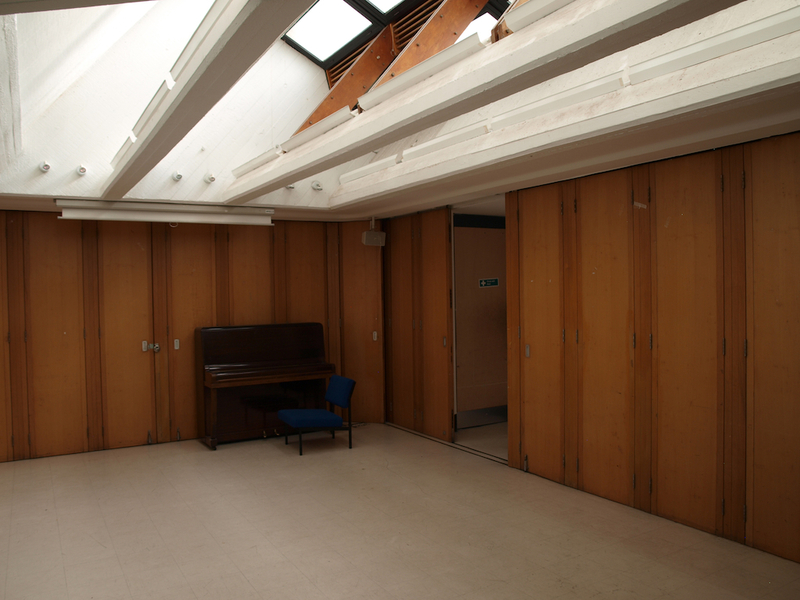 John Allan from Avanti Architects spoke about the refurbishment of the building in 2003 after years of neglect. 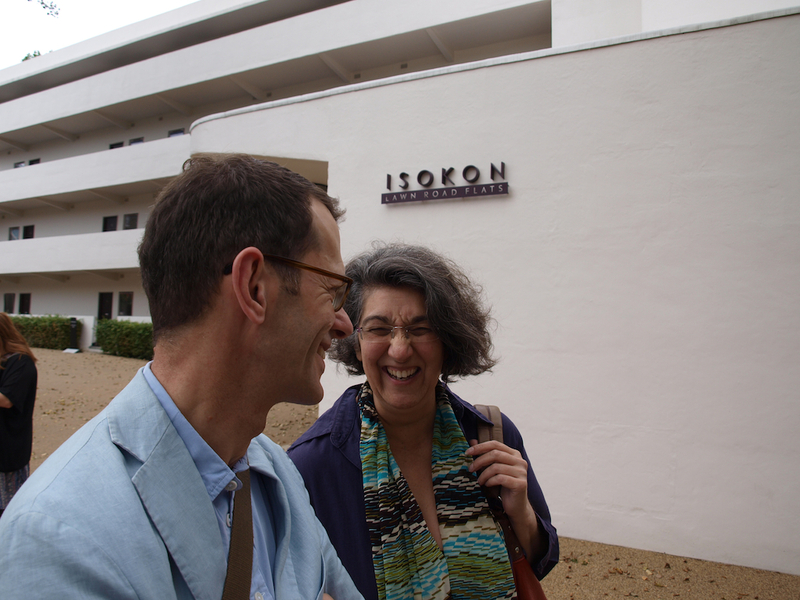 He is also one of the trustees of the newly-opened Isokon Gallery on the ground floor of the building which tells the story of the building and its famous residents. 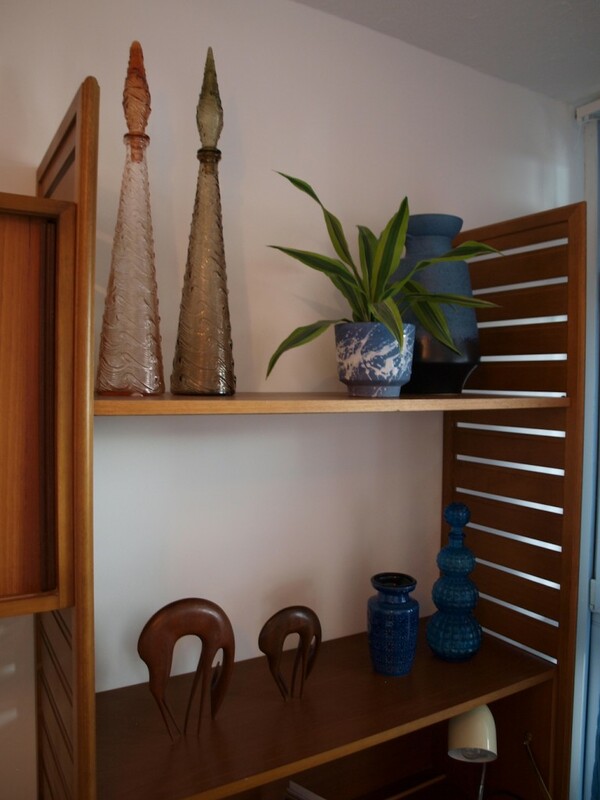 Magnus Englund, MD of interiors shop Skandium is another trustee and he told us about the modernist designs of the Isokon Furniture Company, founded by Pritchard, including the Long Chair designed by Marcel Breuer and the Donkey bookcase by Egon Riss. The gallery is well worth a visit before it closes for winter at the end of October. 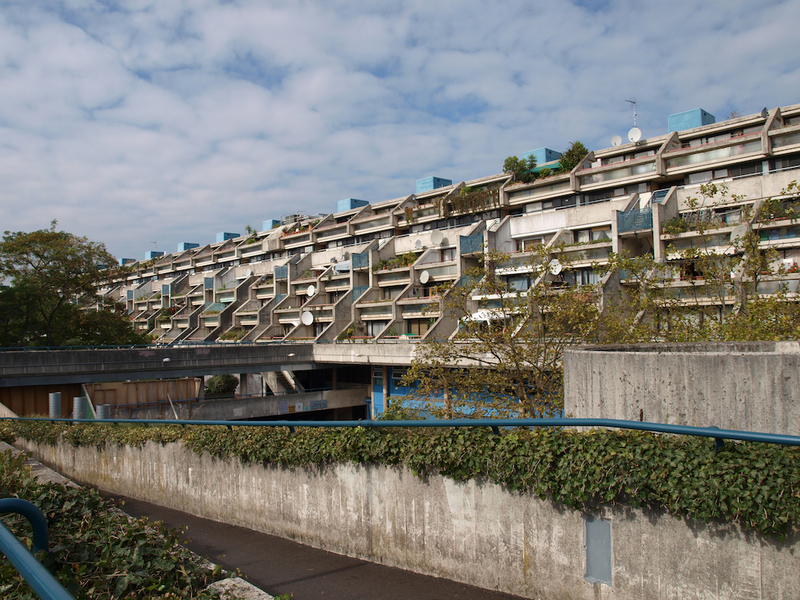 Hang the tour, lets just stay here..
Our next stop was the Alexandra Road flats aka Rowley Way in Camden. 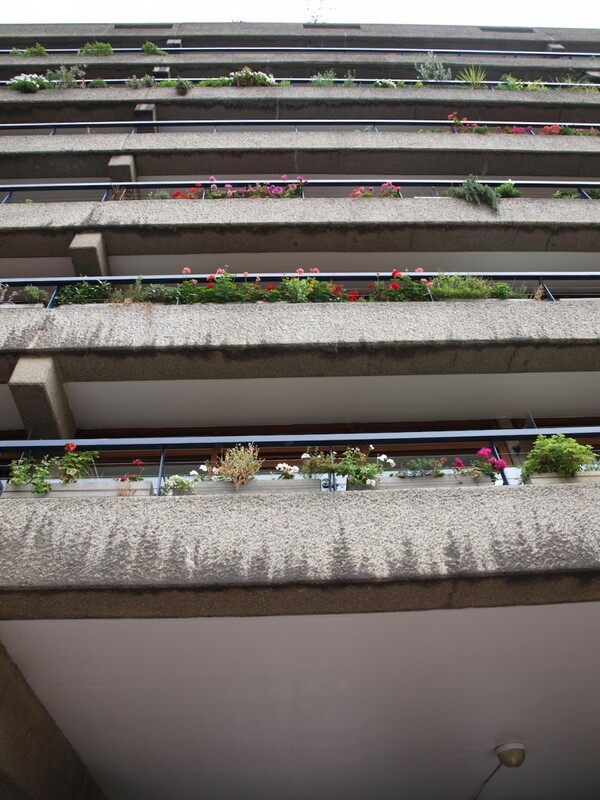 It was designed in 1968 by Neave Brown of Camden Council’s Architects Department. 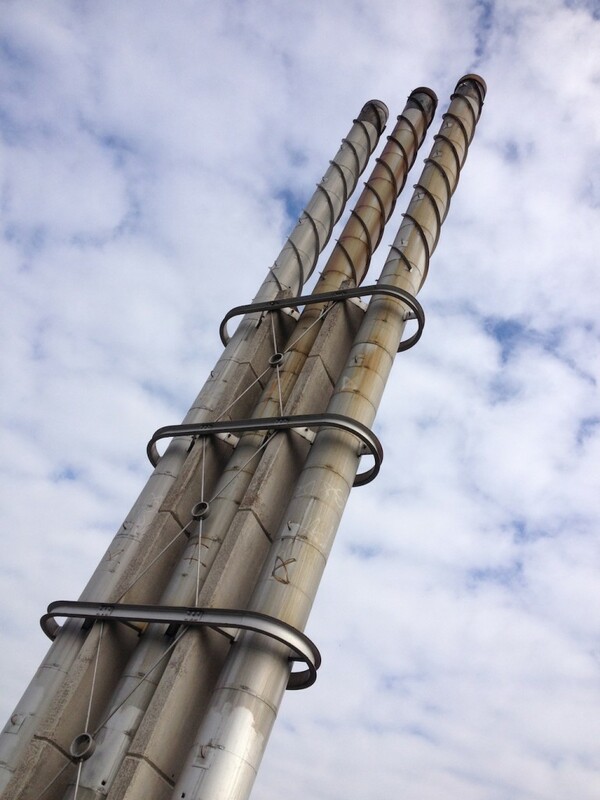 Construction work commenced in 1972 and was completed in 1978. 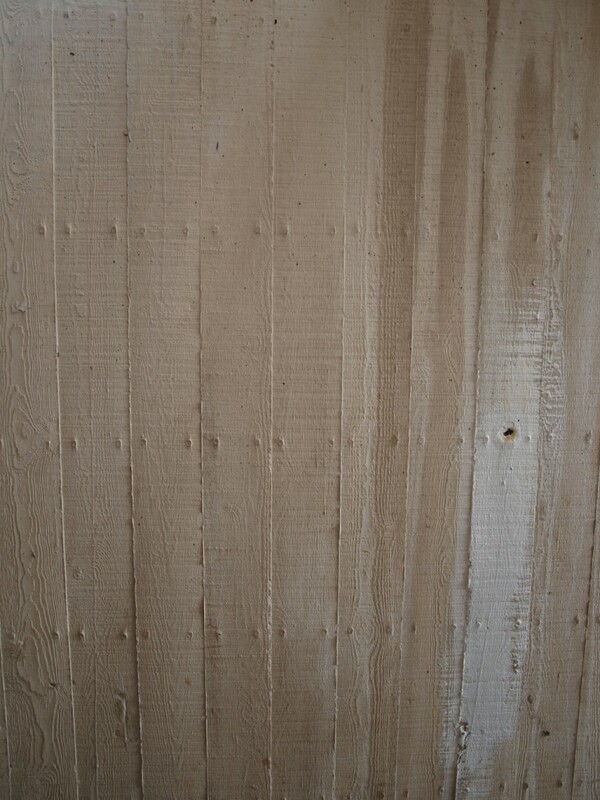 It is constructed from site-cast, board-marked white, unpainted reinforced concrete. 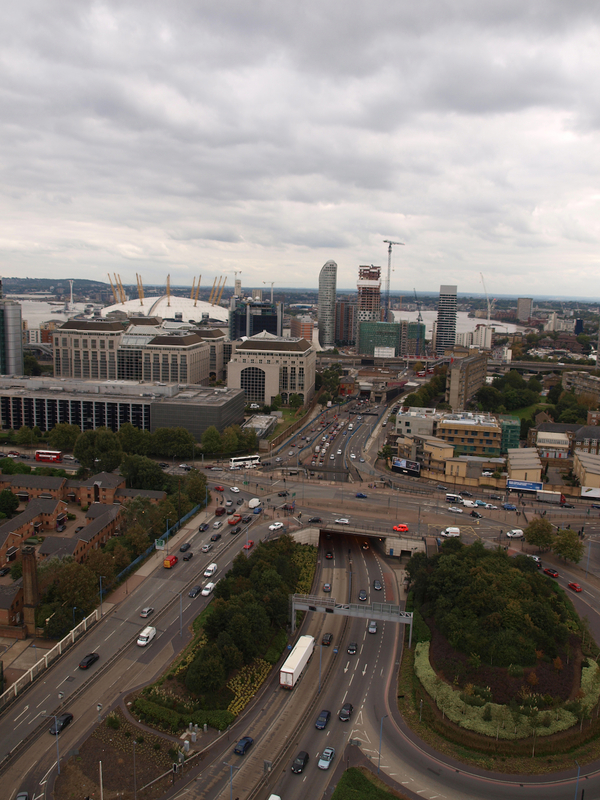 Along with 520 apartments, the site also includes a school, community centre, youth club, heating complex, and parkland. The two main housing blocks are mid-rise, offering accommodation in six and four storey structures with a central pedestrian road between them. Neave Brown believed that ziggurat style terraces, little higher than the terraces they replaced, could provide a better solution. 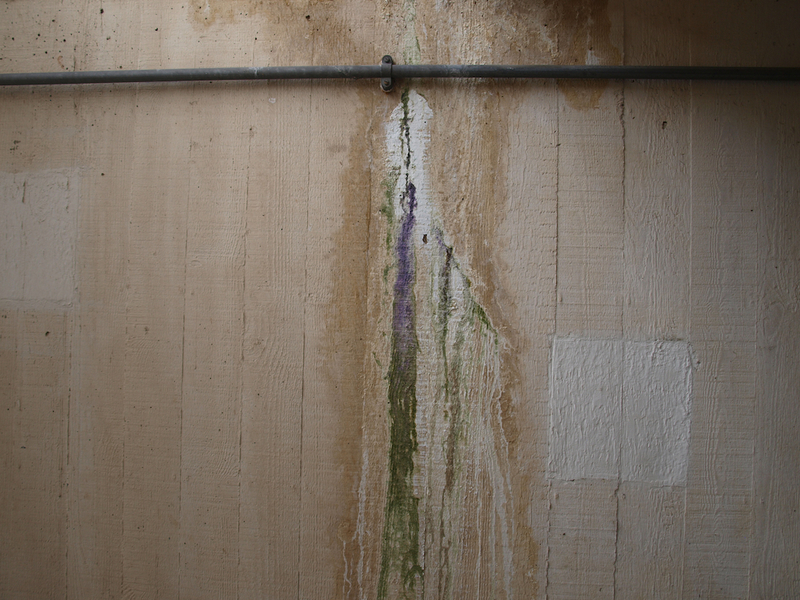 Vehicular traffic could be restricted to basement level. Family-sized flats, bright and airy due to the set-back upper floors, could open, via their own “defensible” front garden, onto ground floor streets/play areas, whilst the higher levels could be used for smaller flats, each with a private balcony. 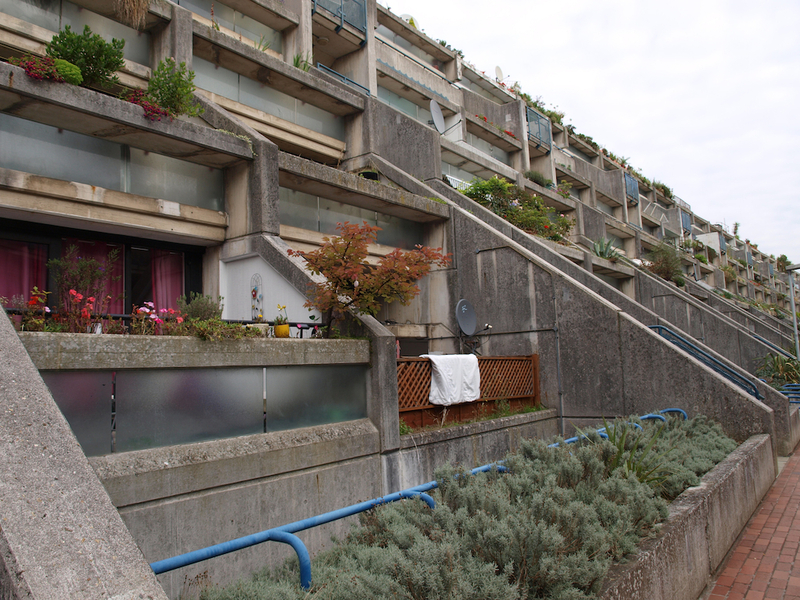 Although criticised for the length of the construction and the cost, which was much higher than a high-rise scheme, Alexandra Road has suffered much less from vandalism and was awarded Grade II listing in 1993, the first post-war council housing estate to be listed. 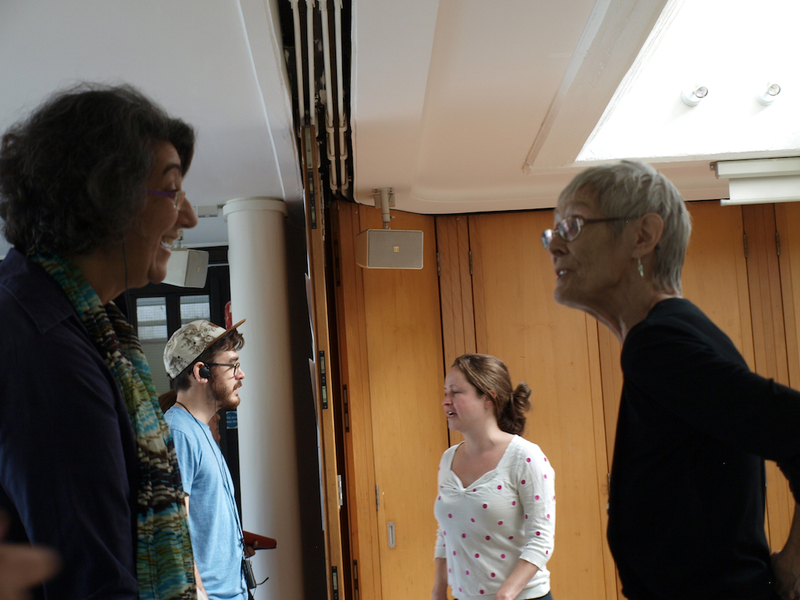 They certainly believed that the architectural design contributed to a sense of community belonging on the estate. 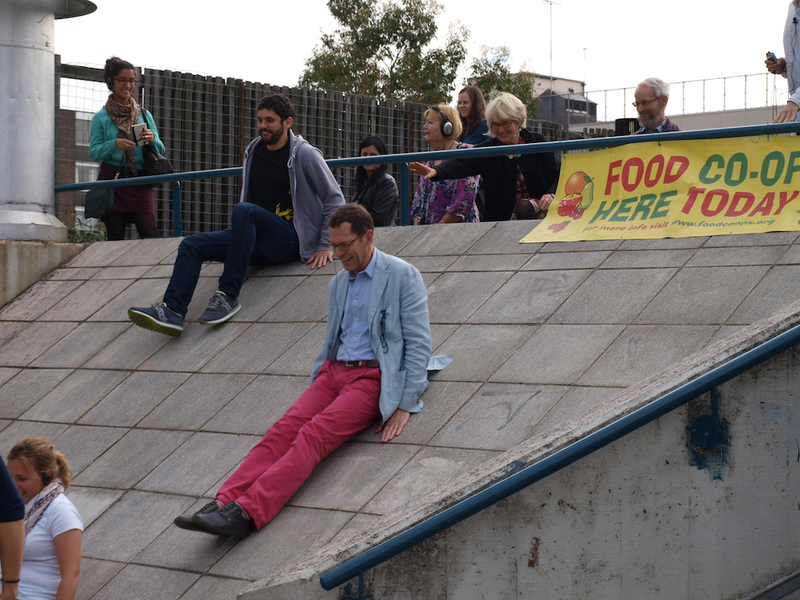 Before leaving, Tom showed us a great slide for grown-ups on the estate..
Back on the bus, Liz had a brainwave. 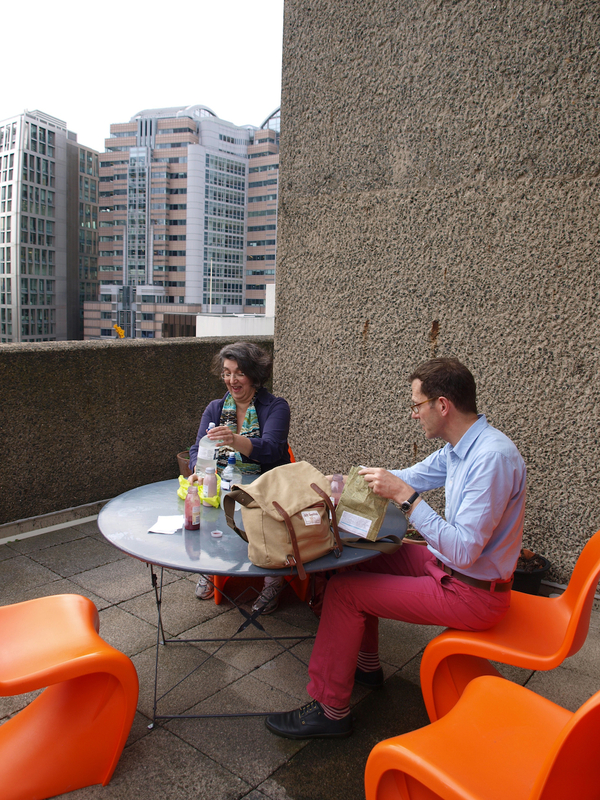 Our next port of call was the Barbican. 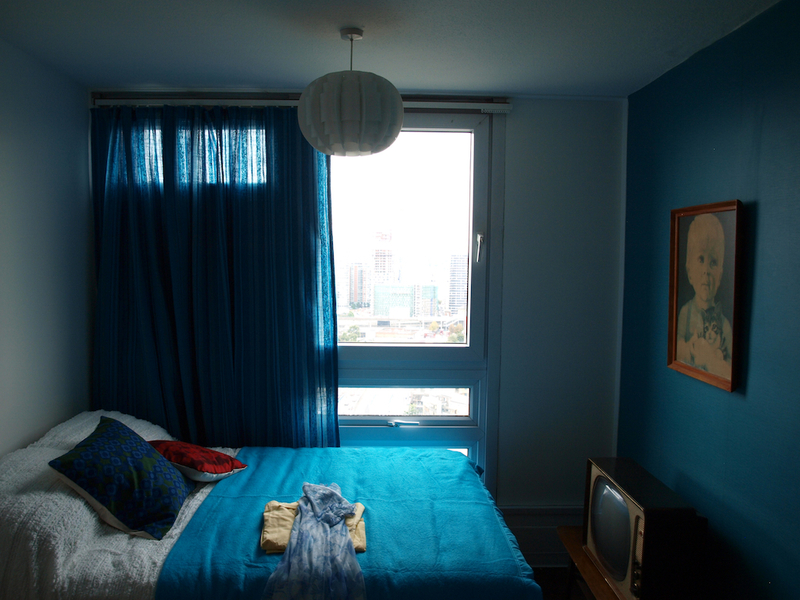 She lives in a flat in the Barbican. She could invite 40 strangers to her flat! A miracle cried Tom! 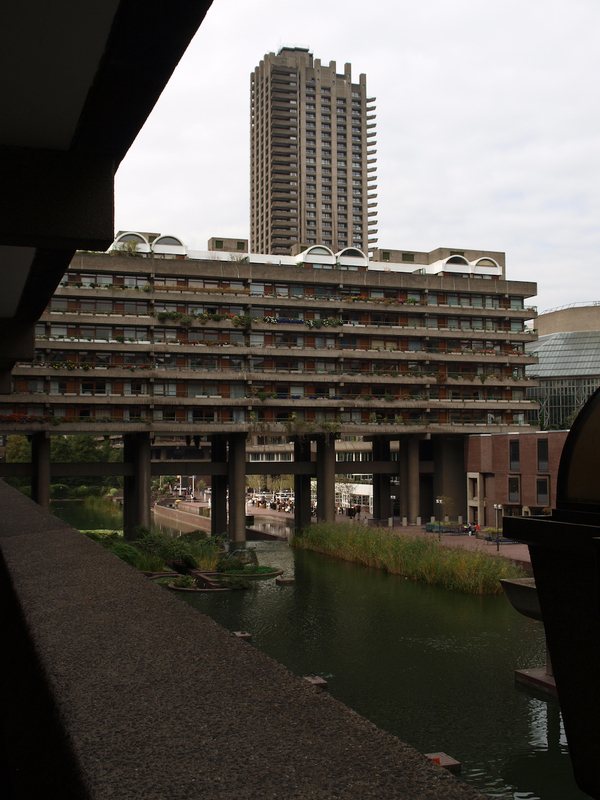 The Barbican estate was built in the 1960s and 1970s in an area of the City of London devastated by bombs during World War II and is one of London’s best know Brutalist icons. 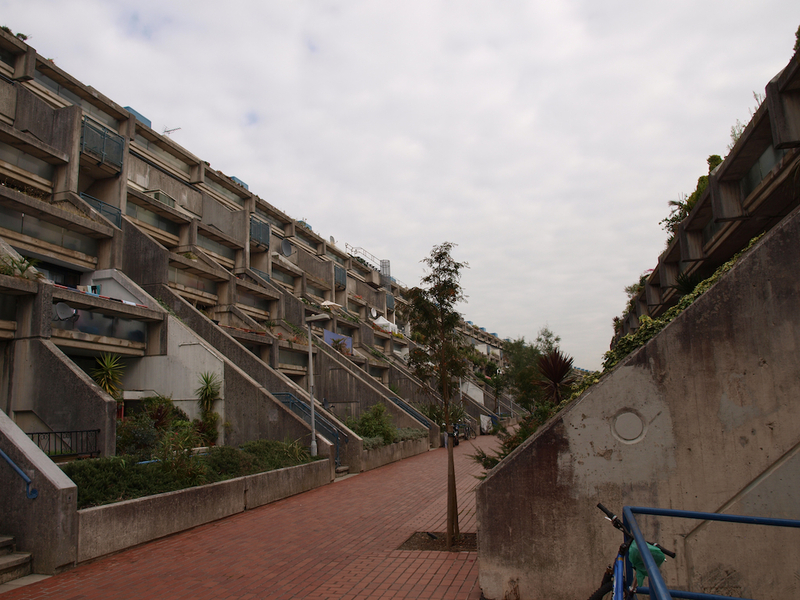 The complex was designed by architects Chamberlin, Powell and Bon, whose first work was the ground-breaking Golden Lane Estate immediately north of the Barbican. The estate of 40 acres (16 ha) was officially opened in 1969 and is now home to around 4,000 people living in 2,014 flats. 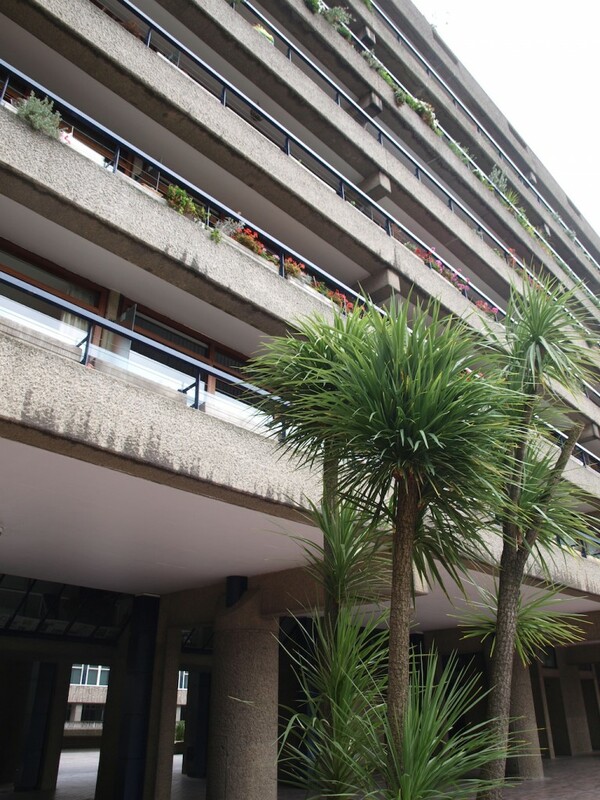 It was Grade II listed in 2001 and also contains the Barbican Centre (an arts, drama and business venue), the Barbican public library, the City of London School for Girls, the Museum of London, and the Guildhall School of Music and Drama. 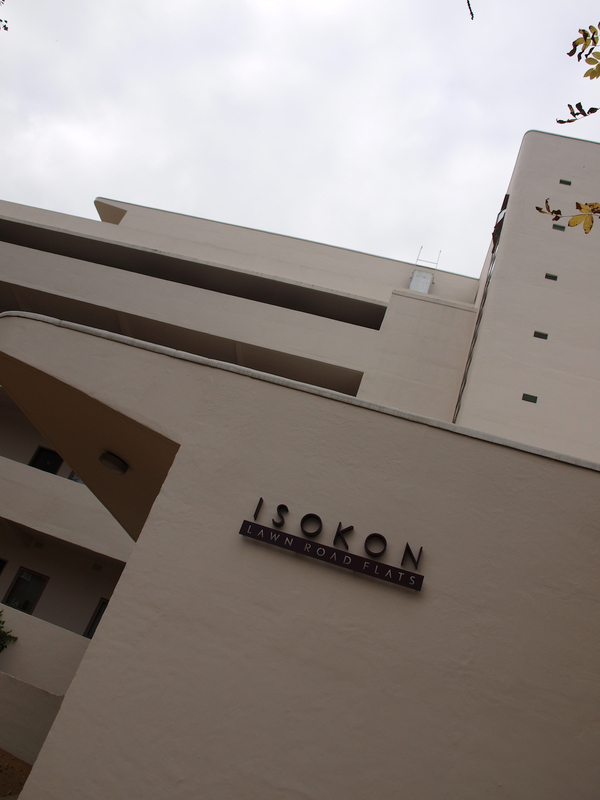 The housing on the estate primarily consists of 6-storey high blocks of flats, plus three high rise towers and several rows of mews houses. The residential areas are all connected by a “highwalk” system away from any roads to keep pedestrians separate from traffic, but perhaps also to confuse visitors and those not familiar with the layout! 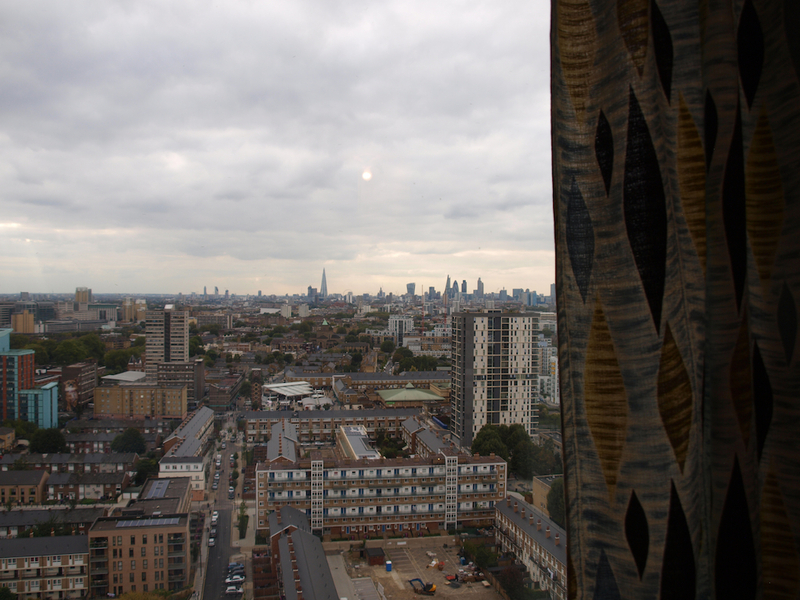 Next stop was Balfron Tower, another famous Brutalist building in Poplar, east London. 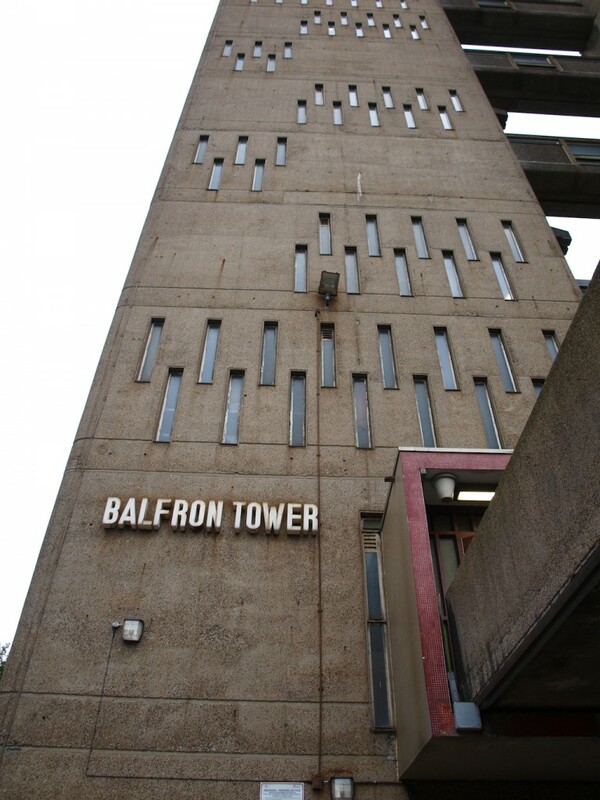 Balfron Tower was designed by architect Ernő Goldfinger and is associated with the Brutalist style of 1960’s architecture. 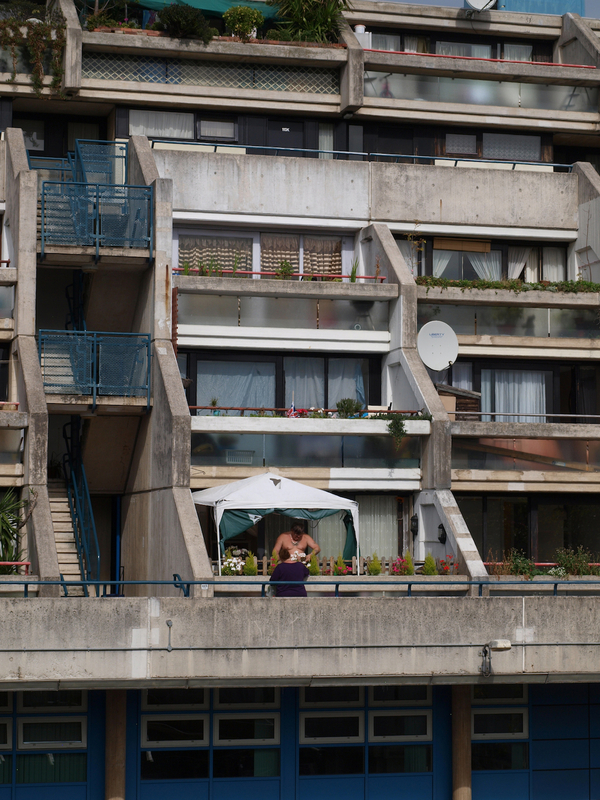 Goldfinger himself was pleased with the design and moved into flat 130, on the 24th floor, for two months in 1968. 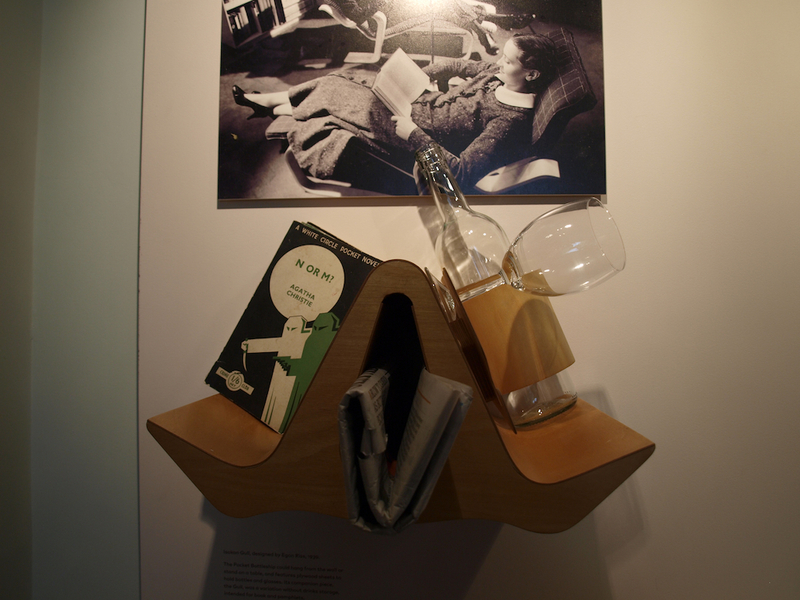 He and his wife threw champagne parties to find out what the residents liked and disliked about his design. 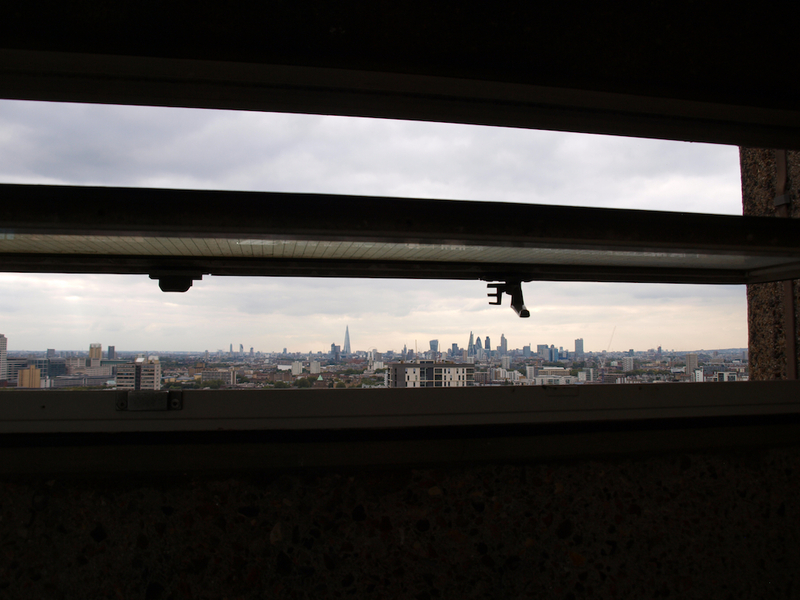 He applied what he learnt to his design for the similar and more famous Trellick Tower in West London. 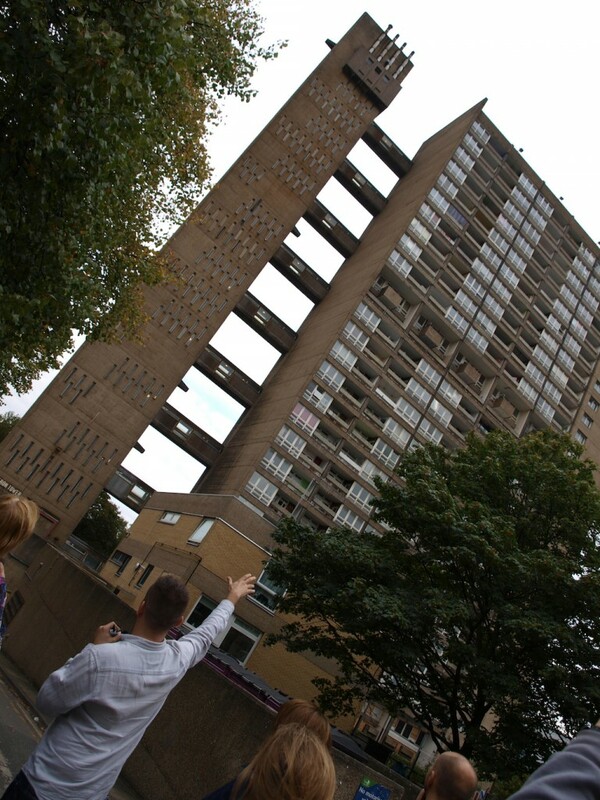 Goldfinger’s studio later added Glenkerry House on the same estate, complementing Balfron Tower and Carradale in style. The building was given Grade II listed status in March 1996, followed by Carradale House in 2000. 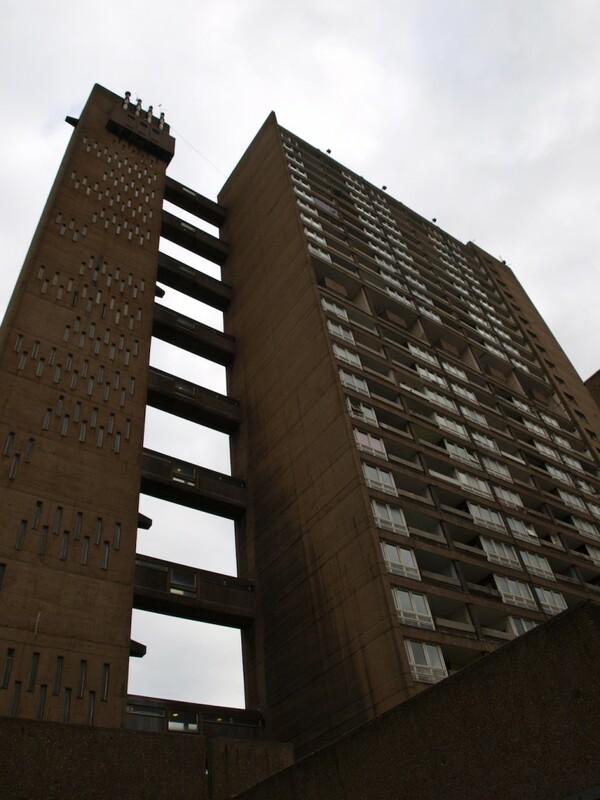 Carradale and Glenkerry Houses were also included in the Balfron Tower Conservation Area, designated in 1998. 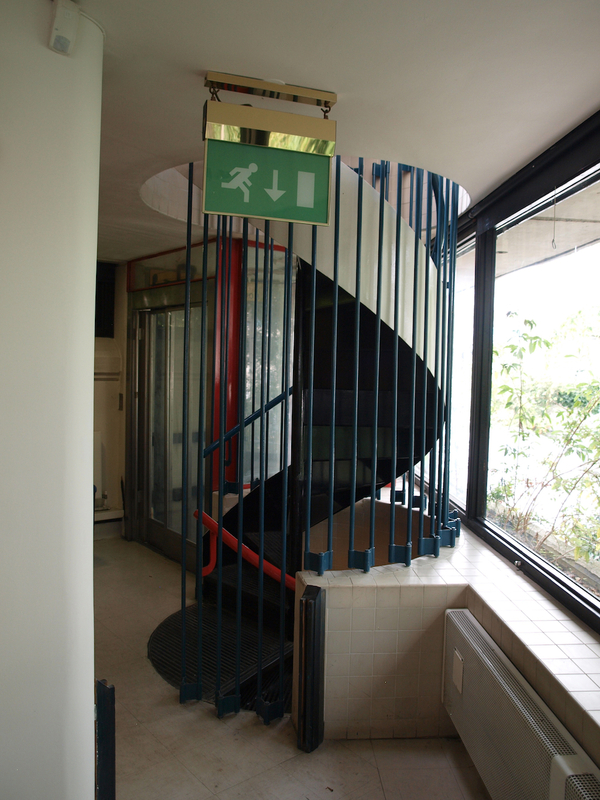 We had been to see 2 Willow Road in Hampstead a few weeks previously, which Goldfinger designed as part of a small-scale development of three homes in 1939, and where he lived until his death in 1987, so were keen to contrast it with his high-rise architecture. 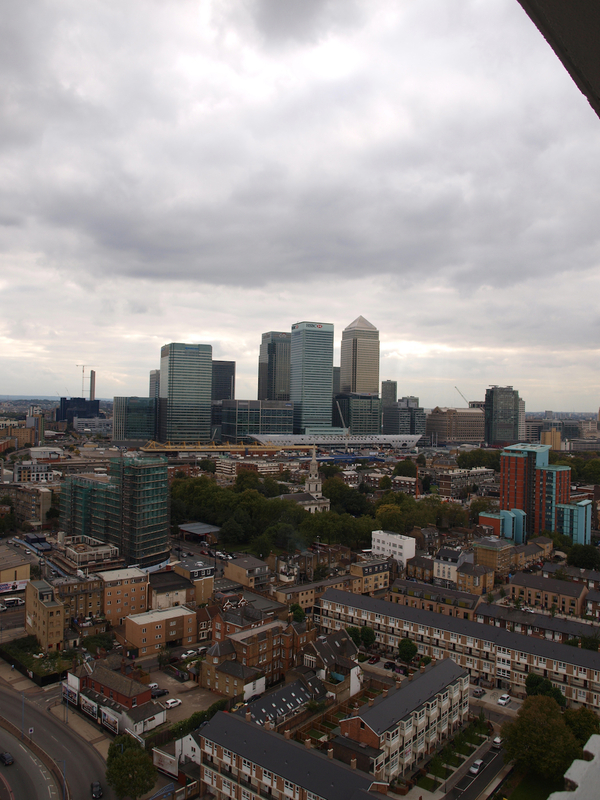 It’s been in the news recently as Poplar HARCA, the housing association which owns the tower is planning to carry out a complete refurbishment in partnership with a luxury residential developer. 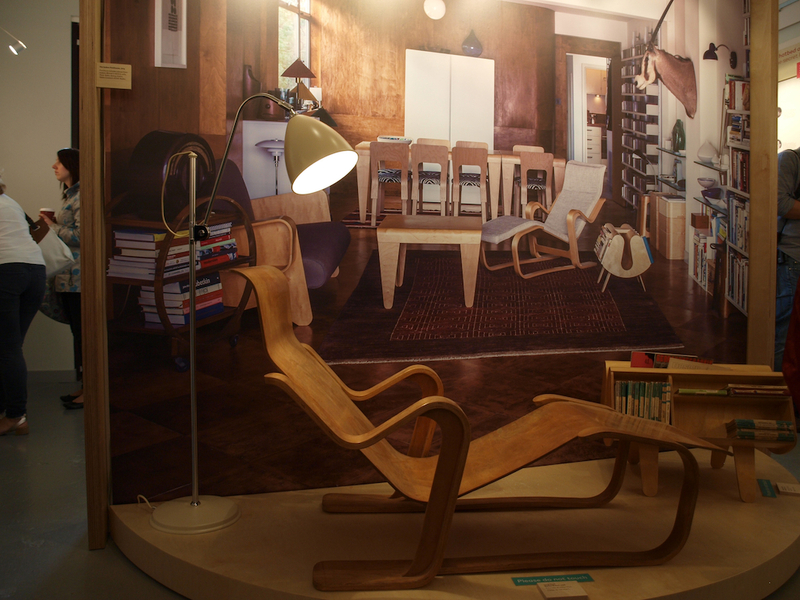 Before the work starts, the National Trust has organised a two-week “pop-up” (literally!) 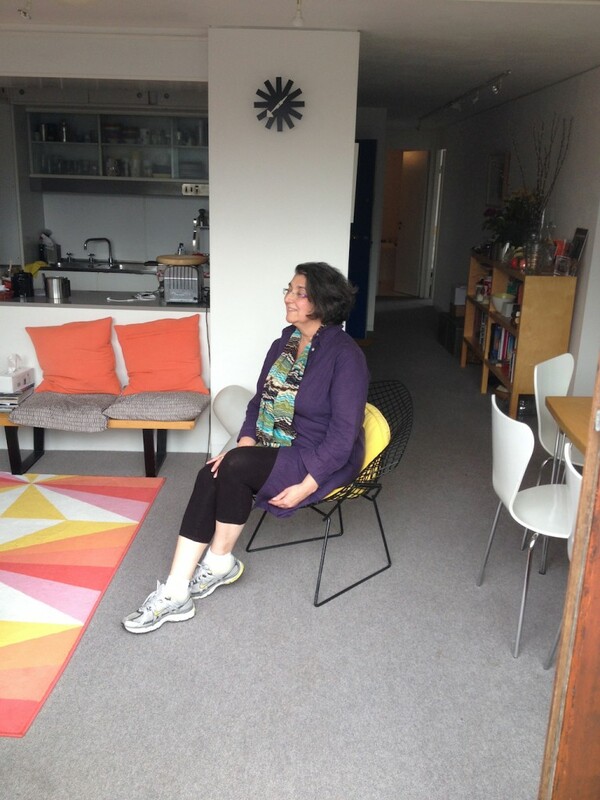 when people can visit the flat that the Goldfingers stayed in. We were lucky enough to get a peek inside. This is the view from the walkway on the 24th floor. Wow! 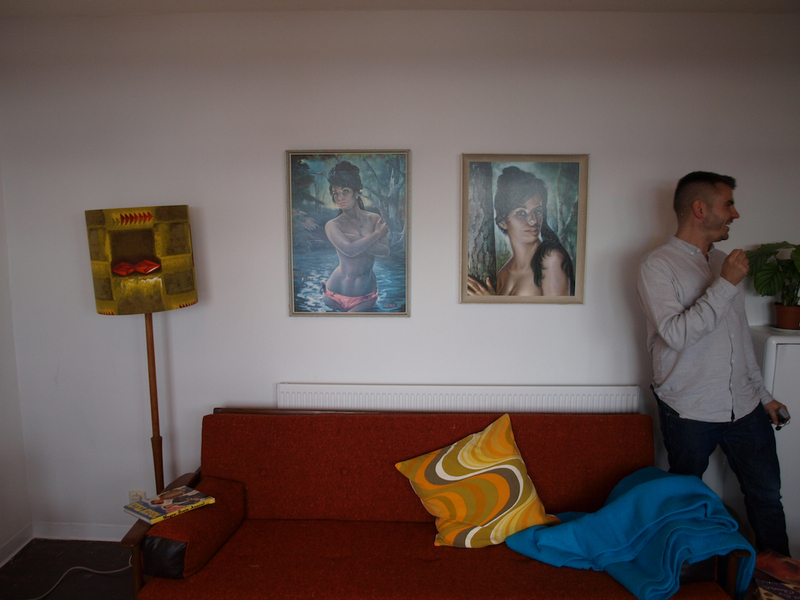 Inside, the flat has been decorated by Wayne Hemingway and his daughter Tilly in the style of a 1968 period flat for the pop-up. It is very different to how the Goldfingers chose to furnish it. 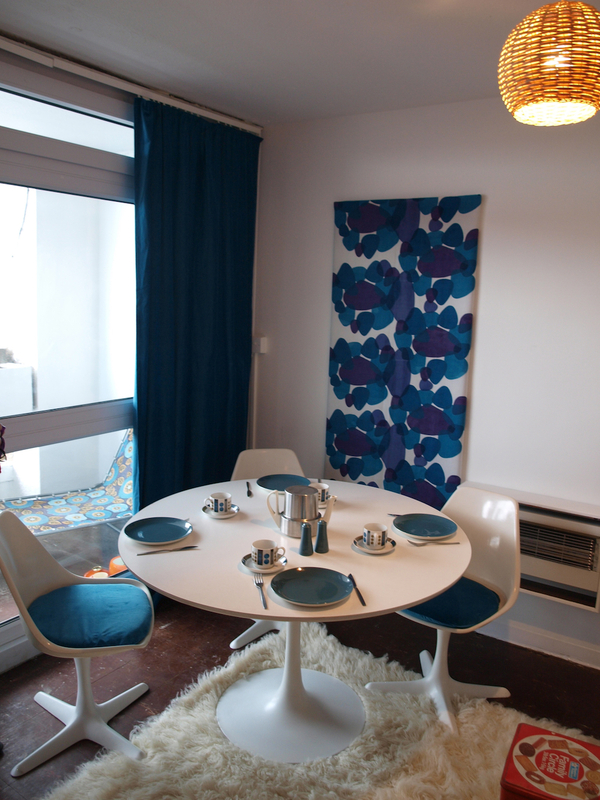 I also suspect most of the original residents probably couldn’t have spent quite so much on furnishing their homes either, but it is fun, in a kitschy kind of way. But, here, the view is THE thing.